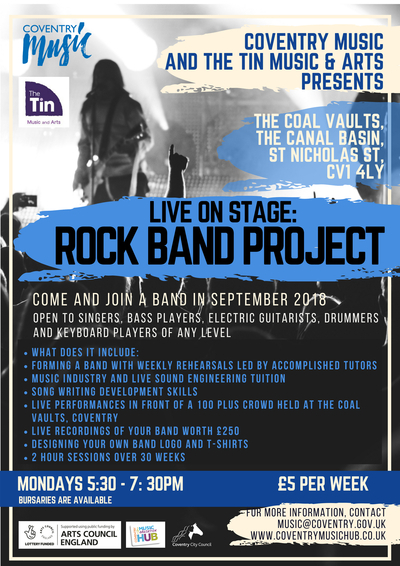 Open to musicians in Key Stage 3 & 4 who can play Electric Guitar, Bass Guitar, Keyboard, Singers and Drummers. Any level and ability welcome. Allowing young musicians to form Rock Bands, develop songwriting skills, learn about the music industry and take part in live performances.